Cancer charity Tenovus Cancer Care is celebrating its 75th birthday this year and is holding a Big Birthday Raffle to mark this milestone. The fantastic prizes up for grabs include a MG car, a holiday in the Cotswolds and £50 John Lewis vouchers. You can get your tickets for just £2, from either of the charity’s two shops on Gloucester Road, which have been a focal point of the community for 22 years. You’ll also find a fantastic range of pre-loved Bridalwear at the shop at 181 Gloucester Road. 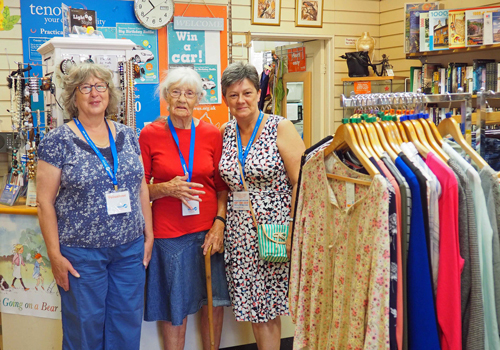 The shop at 283 Gloucester Road welcomes volunteers of all ages. Cherry Harris is 91 year young, and this is one of her two volunteer jobs - although she does appreciate a chair to sit in at times!